This is my square, I quite liked making this one too, and as always the squares chosen in this cal all look good. 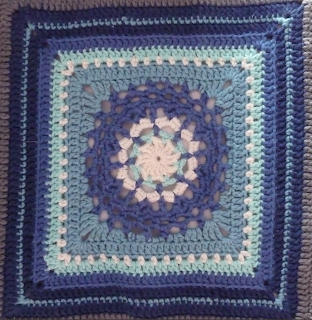 It was rather fast crocheting this square only at about five hours with minimal frogging so it must have been easy enough, before the added rounds. It was 31 grams and 21x21 cm. 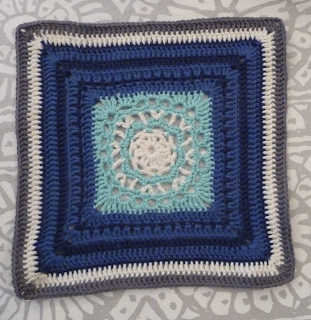 I love that we both have lots of darker blues in our squares, but mine seem icy because of all the white and ice blue, whilst *Kio has more calm Dutch blue as her main colour with the darker blue. Once again our different colour palettes give off a totally different feel to each square and I really like it. 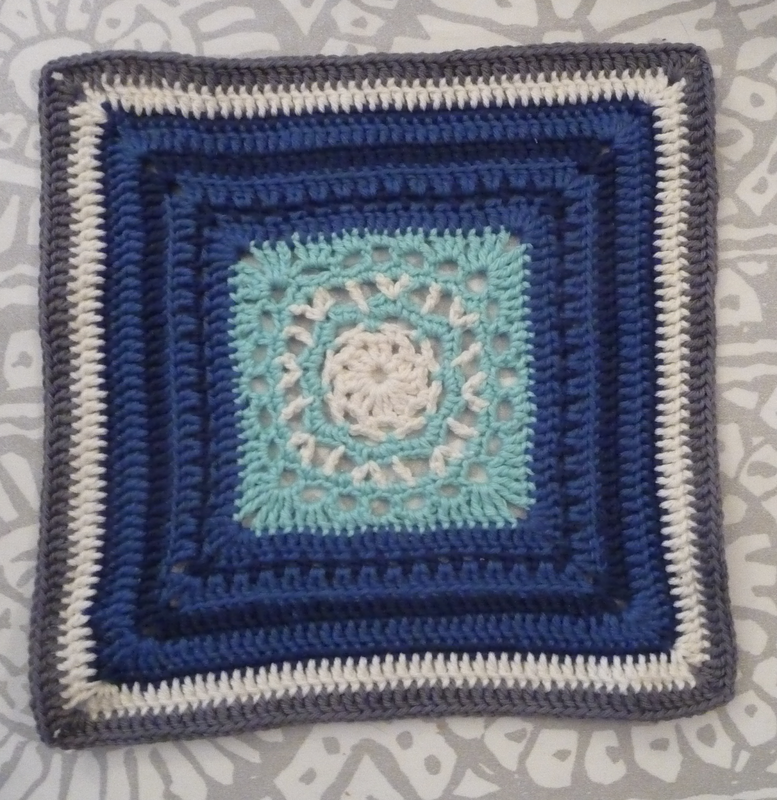 My square also seems smaller because I switch into the darker blues earlier then *Kio so mine looks like it has a big drama and small square whilst *Kio's look big and bold. If I remember correctly I was almost out of that icy blue at this point. Luckily we bought some more later. And now I still have a few balls of that colour left, I loved it so I had to restock. Edit, it is the Sadie Square and Addie Square who share the same seven rounds.